NEKTAN claims to be the leading content developer for mobile gaming software and B2B platform provider, specialising in both real money games and freemium games, which are games that don’t involve gambling and are free to play, but have optional extras that you have to pay for. The company was created in order to provide mobile casinos for the ever-growing mobile gaming market. Its headquarters are in Gibraltar and it has offices in London and Las Vegas; it’s experienced so much success that it’s been listed on AIM, the London Stock Exchange’s designated international market for smaller and growing companies. Quite a few large companies with substantial, established audiences have made purchases from NEKTAN. The focus of NEKTAN has been to develop a proprietary gaming platform for mobile devices that offers a selection of casino and bingo games. This gaming platform, Evolve, was designed to be flexible. It allows for new features to be developed and allows for the easy integration of 3rd party software. The platform was launched in 2014 and comes with a number of proprietary games by NEKTAN, as well as a number of games from 3rd party developers. All of the games developed by NEKTAN use HTML 5 so they can be played on all the latest phones, computers, laptops and tablets. The casino games and slots that have been developed by NEKTAN have been specially designed for mobile devices and offer highly engaging and immersive experiences. NEKTAN’s mobile gaming solution offers lots of different services to help mobile casinos, including social gaming, fraud management, customer service, dedicated account management, tier-1 banking and gaming licensing. Even though NEKTAN is still quite a young company, it is not without ambitions, as it aims to gain customers and establish customer bases throughout the US and Europe in the coming years. T&C's: New players' first deposit only with code ONE. 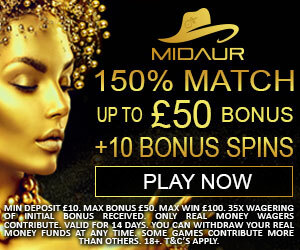 Max 100% bonus up to £50 + 25 free spins per first £10 min deposit. 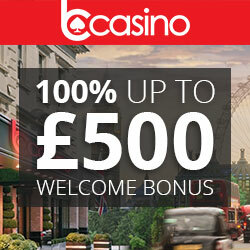 Wins capped at £2.50 & paid out in bonus that must be wagered 50x before cashed out with its respective winnings. T&Cs apply. Nektan casino with blackjack, roulette and slots. Games from Nektan, NetEnt, NextGen and NYX Interactive. Pay by phone bill available.